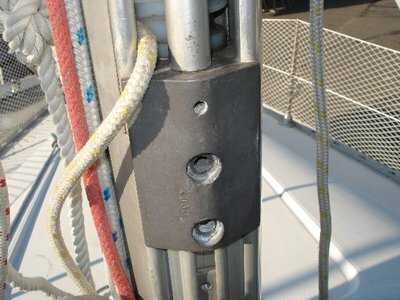 I suppose sooner or later most of us with an in-mast will have to replace the furling line, in my case it happened - due to a bad swivel block - rather sooner. Never the less, I for one am very happy with this system, giving me some protection in heavy weather. No dancing around the mast for me thank you. 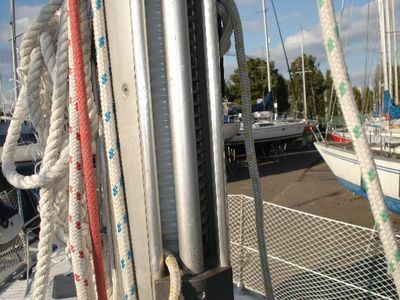 I know an in-mast is somewhat controversial , there are pros and cons. 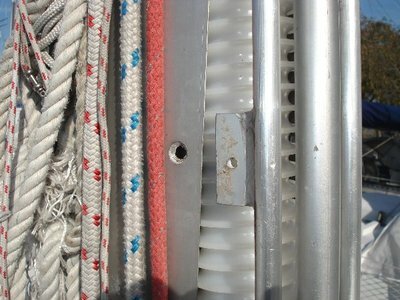 But the purpose of this posting is not to enter a discussion about the good and the bad aspects of the system, but merely showing others how to replace the furler line which retracts the mainsail. 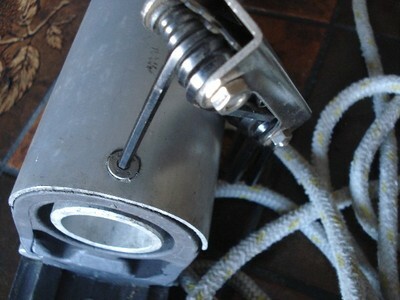 Severely damaged furler line, not replacing this is just asking for trouble. 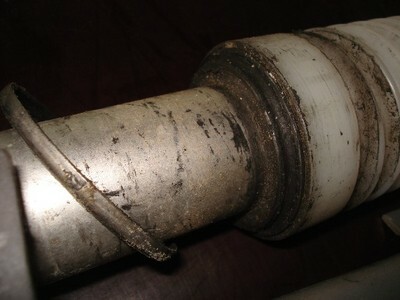 The line goes into the spiral or screw and is fix internally by means of a knot. 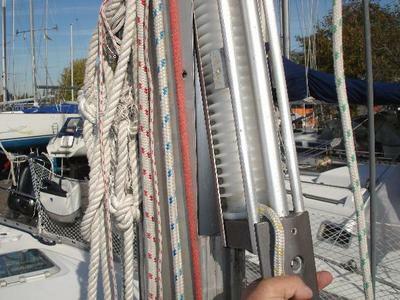 Inaccessible without disassembling the furling system. 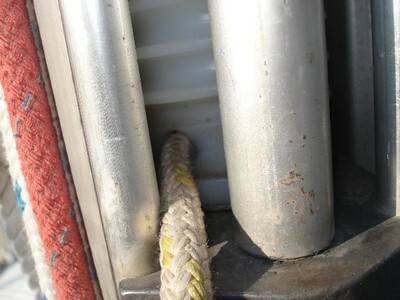 Unless the mast is not mounted, in that case you can reach it from underneath. 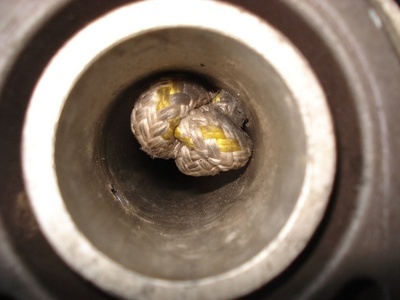 A picture of that knot. 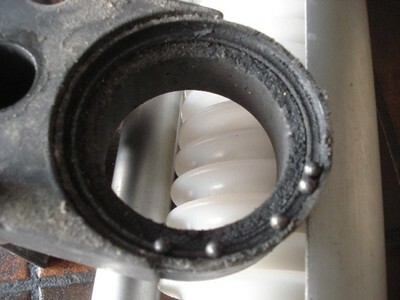 In order to remove the system first release the bottom bolts. Do not, as I did, release the small Allen-screw. 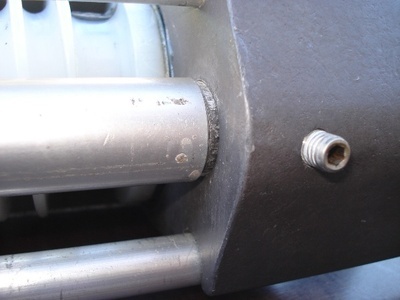 That can be done afterwards, these allen-screws, along with the backplate, hold the system together. The same goes for the top section. 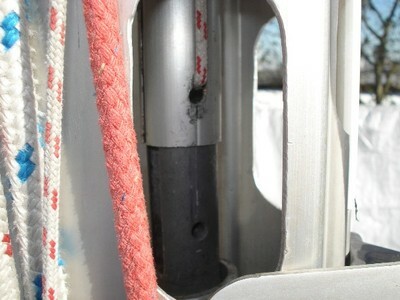 Also take out the allen-screw on each side of the mast. 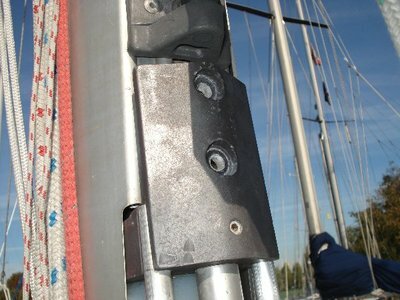 Now before pulling out the furler, make sure the alu pipe that holds the mainsail (in my case the mainsail was removed before starting the job) is held in a way so it cannot fall down when you pull out the furling system. The whole part slides out quite easy. 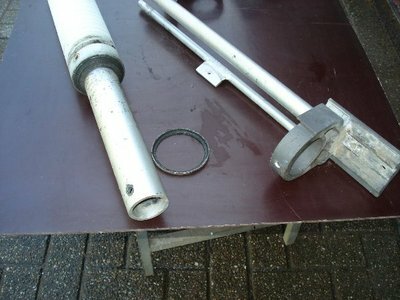 At homebase the backplate is taken away and also the small allen-screws in the front Now everything can fall apart. Beware. 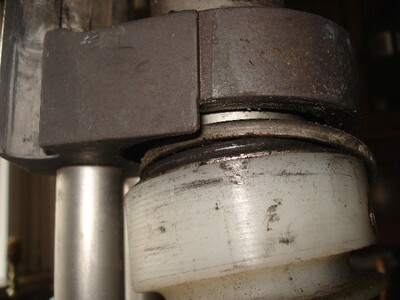 Before I separated the parts , I took care to collect the bearing balls that will scatter around once they are give a chance to do so. It didn't happen to me because I was warned by ' dnickj '. Many thanks for that. 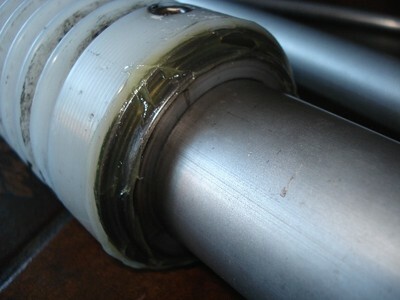 To give you an idea on the condition of the bearings. Doesn't look very appealing right. First things first. 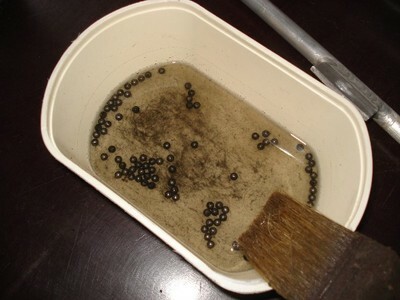 Cleaning and degreasing the ball races. 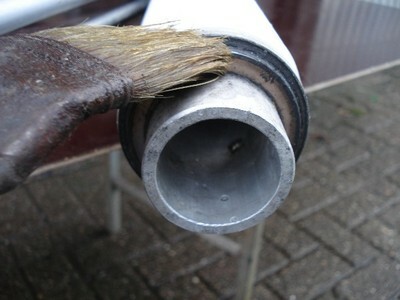 Greasing up everything will prevent the balls from falling out when trying to assemble the furler. Slide all parts together and attach the backplate so you have a temporary fix.And before we can screw in the small allen-screws all gaps will have to be closed. 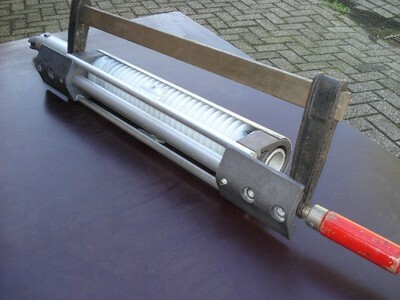 This is where a big Bertha clamp or brutal sergeant may come in handy. 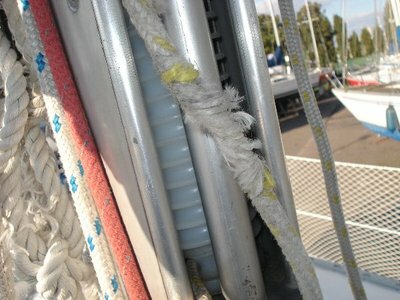 I guess there's no need to explain how the new furling line is put in (don't forget the knot), nor is a disclosure necessary on the furler reinstallment I would imagine.